Trinity Rose Designs: Kraftin Kimmie November New Release Day Two!!! 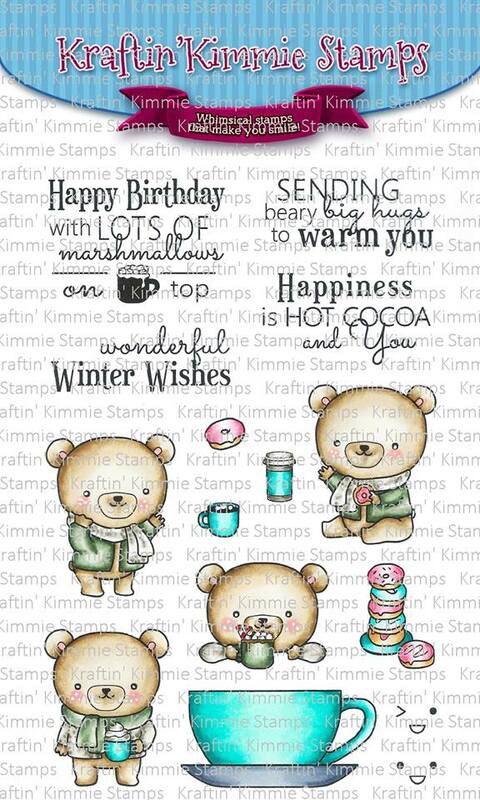 Welcome to Day TWO of our November Krafty Peeks at Kraftin' Kimmie Stamps! These chubby little bears are ready for the cooler weather with lots of cocoa and goodies! The set comes with several main images, lots of cute accessory stamps and four gorgeous sentiment stamps for a total of FIFTEEN stamps in the set! What a sweet and versatile Set! i just Love it!! You'll see the new stamps in action and featured in today's blog hop with the Krafty Krew and Guest!! 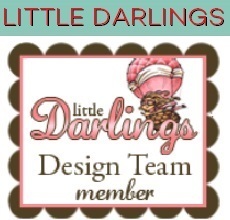 Their links are below and be sure to leave some love at each stop ecause one lucky stamper from all the comments this week is going to WIN a gift voucher to go shoppin'! 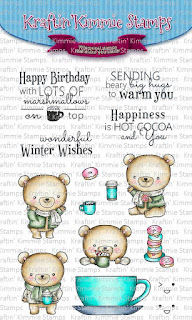 ALL of our new November stamps will be available on Sunday afternoon at the Kraftin' Kimmie Stamps Shop!!! Be sure to join us for an hour of celebrating the new stamp sets, fun and prizes on Sunday at 2pm EST at our LIVE ONLINE RELEASE PARTY!! Come hang out with the Krafty Girls and me!! 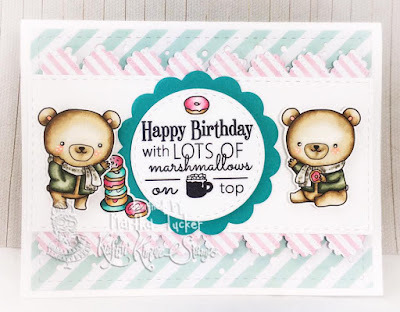 what a sweet card, love the colors and those cute bears!! My goodness I can't get enough of these precious bears!!! Awesome card! Beautiful card... I as well love you coloring and latout design. Sweet card, brings such a smile. Adorbs! I love the pink and green stripes for the background! !